Follow Highway 22 south from Calgary to Highway 546 then west to Turner Valley and within 15 minutes you will reach the Sheep River Valley and be ready for your camping vacation. Highwood (and Cataract Creek) areas provide a diversity of landscapes to explore in a variety of ways. If you are on the adventurous side you can go mountain biking or horse back riding on any number of numerous trails through the valley. There are also numerous rivers and lakes with excellent fishing opportunities or stroll around the area birdwatching. Travel highway 541 west of Long View and in 15 minutes you will reach the Highwood/Cataract Areas. 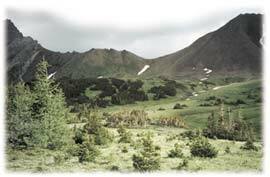 High Country Camping as the new operators of this area look forward to having you as a guest in our campgrounds and hope that you will call us if there is any more information that you may require. Welcome to the Sheep River and Highwood Valleys. Kananaskis Country's best kept secret! This area, known for it's secluded campsites and remote local, is perfect for the family vacation, weekend camper and outdoor enthusiast alike. 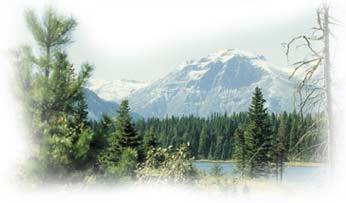 Being only a 60 minute drive from Calgary you can stay overnight or spend a whole week with traveling ease. Home to 12 campgrounds and 5 group camps it is easy to find a spot that is perfect for you.Many people come to this area because of the commanding peaks and lush forest growth, and being part of Kananaskis the area is also teaming with activities for campers to enjoy. In the Sheep River Valley come out for the great fishing and mountain biking or in the winter bring out you cross country skis and enjoy miles of trails within the majestic Rocky Mountains. You can also bring along the family and visit the Sheep River Wildlife Sanctuary where the Elk and Sheep herds make their home.